The residents of a unique private island in Scotland’s Outer Hebrides have been offered full control of their destiny by their landlord, who inherited the island in 1998. Part of the windswept Hebrides archipelago on Scotland’s remote western coast, the 1,600-acre Isle of Scalpay has an important decision to make: what will the island’s future look like? Residents have been offered community control of their island by the current owner and landlord, Fred Taylor, whose father purchased the island in 1976. 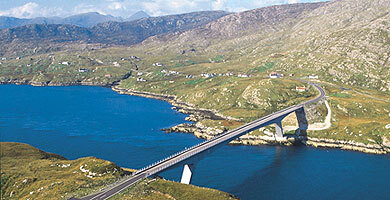 The citizens of Scalpay are expected to hold a vote in June on their options, which include forming their own trust, or becoming part of the trust governing the larger Isle of Harris, which was connected to Scalpay via a bridge in 1997. At one time, the island was a thriving community of more than 800 residents, with bustling shops and a fish processing plant; now, the population of Scalpay has dwindled to just 322 locals, with struggling industries and a failing school. There are also practical reasons why having the island under community, rather than private, control would benefit the islanders: communities can obtain charitable status, and access a plethora of much-needed funding opportunities. Excitement has been huge: more than 160 ideas have poured in from the community on how to give the island a brighter future. 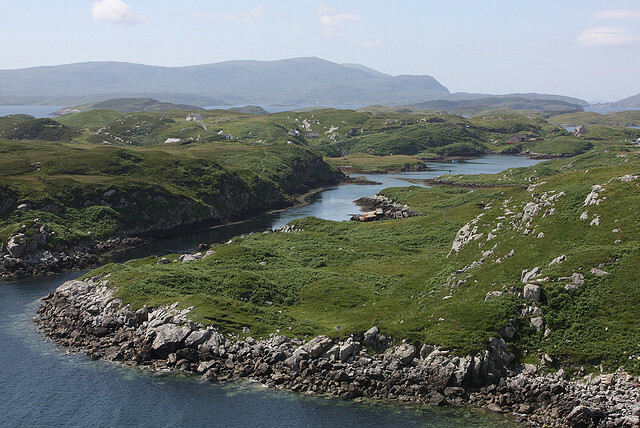 Fred Taylor, currently living in London, has told a local magazine, Island Life, that he has no intention of cutting ties to the Outer Hebrides if Scalpay’s residents take him up on the offer of their land: in fact, he is intending to move to the neighbourhood permanently. Taylor also inherited the nearby island of Sgeotasaigh, or Scotsay, which his father bought in 1965, and where his family spent their holidays. He has constructed a new eco-friendly, off-the-grid home complete with rainwater collectors and a wind turbine, where he intends to live full time. In his interview in Island Life, Taylor said that he was looking forward to being part of the local community, and has many friends on the island of Harris. He told the magazine that despite Scotsay being a private island it does not have to feel remote, as it’s just an 8-10 minute boat trip from Scalpay and Harris – more like “having a wet driveway,” he said.